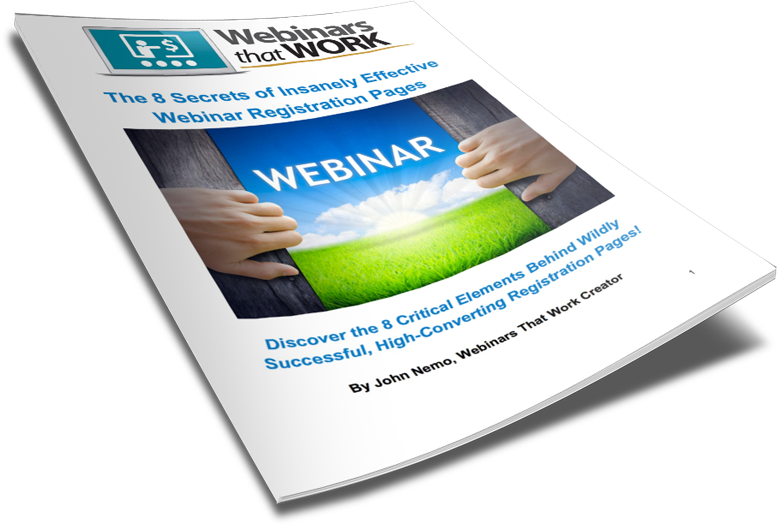 The 8 Secrets of Insanely Effective Webinar Registration Pages ... Revealed! BUY NOW - Just $17! 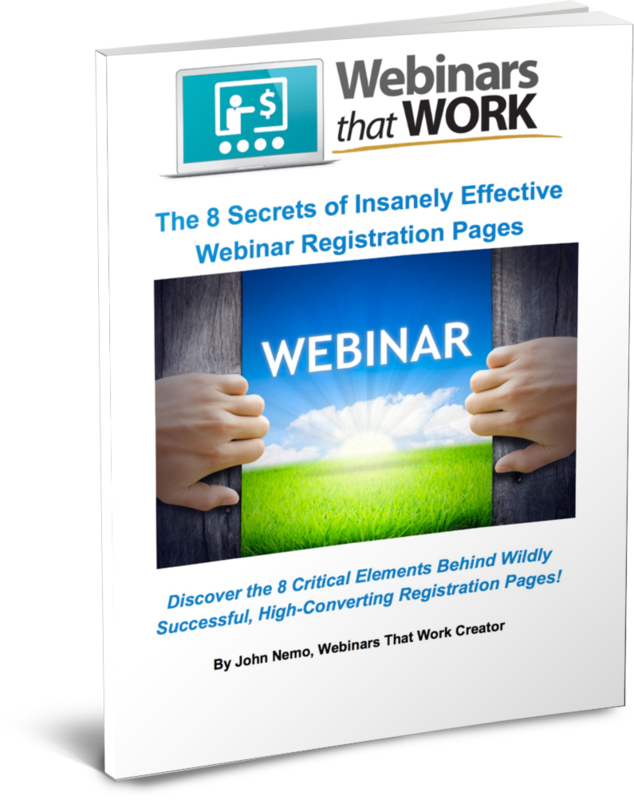 WATCH: 8 Secrets of Insanely Effective Webinar Registration Pages ... Revealed! If, for any reason, you’re not happy with the eBook, just email us within 30 days of purchase for a full refund. For the past five years, I've spent thousands of hours studying (and perfecting) how to create wildly successful webinars. The result is that I've built a thriving, 6 figure business using webinars, including making 50 sales of a $1,500.00 USD product over the past 60 days without having to spend a single moment online! This eBook is the culmination of all my best tactics and tips when it comes to creating a wildly successful, high-converting webinar registration page. Inside the eBook, you'll discover the 8 elements behind every successful registration page, along with the order, structure and style to display them. Even better, I'm going to reveal to you the EXACT phrases, copy and words I use to regularly generate 40-50 percent signup rates for all of my webinars, including automated and evergreen ones!